In other news, the Union cabinet has approved three key bills meant to fight corruption. The first is the Judicial Accountability Bill, which will make judges declare their assets and allow people to lodge complaints against them. The second is the Citizens’ Charter which will require authorities to specify what services they provide citizens. And the third is the Whistleblowers Bill, which protects whistleblowers and punishes those who reveal their identities. All three bills are likely to be introduced in Parliament soon. On bill that was not approved on Tuesday was Food Security Bill, which makes access to food a right. And finally, Indian shares fought off the bears on Tuesday and finally broke a three-day losing streak. 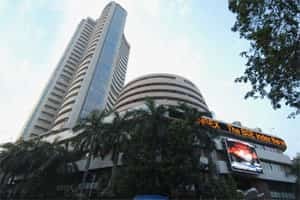 The Sensex ended trade 132 points higher at 16,003. And the Nifty gained 36 to wind up at 4,801.